Over on eBay this weekend, I came across this beauty of a lamp. It is listed at $85 and has no shade, so it isn't a steal, right? 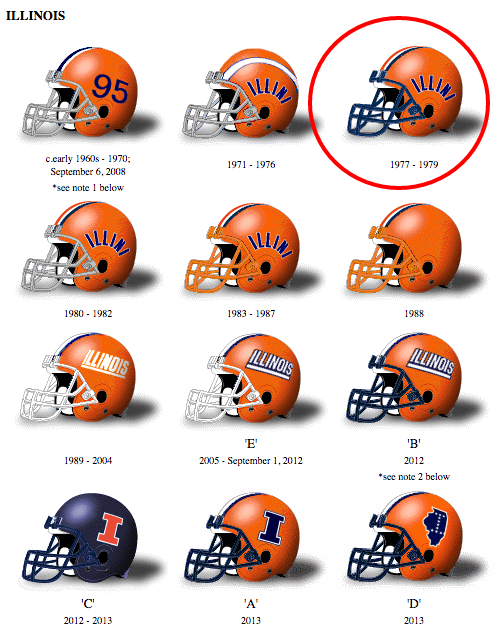 Looking up the helmets in the Helmet Project site, it seems that this one with the blue facemask, the arched "Illini" that is outlined in blue is from a very specific few years: 1977 to 1979. As a child of the late 70's, I kinda love that. 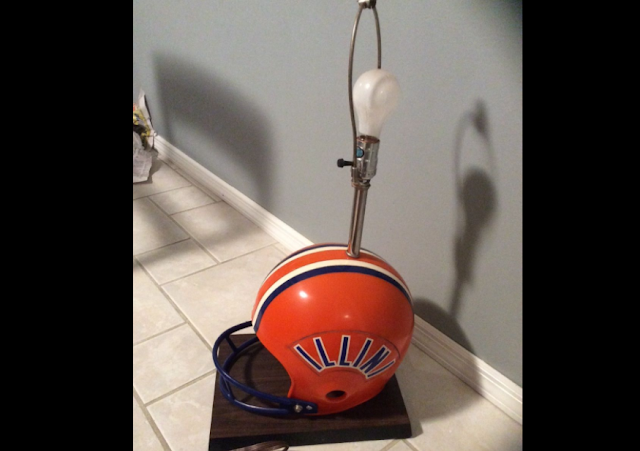 We don't have a house yet, let alone a place for this lamp, but I bet it'd look pretty awesome in a rumpus room, right? At $85, it might not go fast, right? All it takes is one nutball like me to buy it, though!